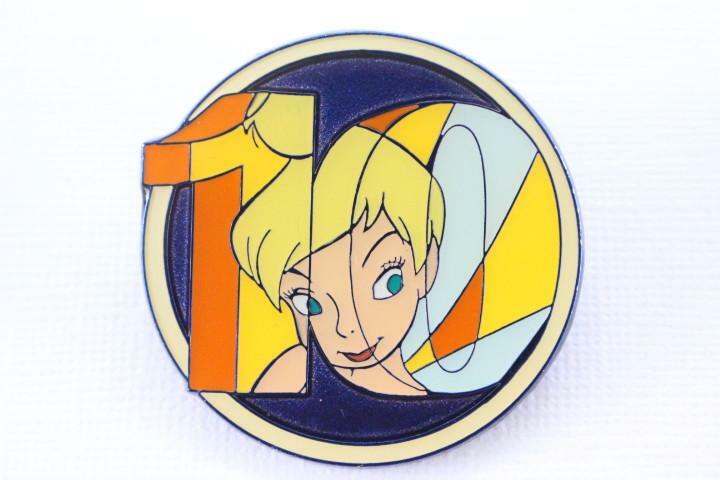 This large Disney pin for sale features Jiminy Cricket from Pinocchio on a pretty metallic blue pin that celebrates 10 years of pin trading in the Disney Parks. This pin set was only released on Cast Member CM Lanyards for trade, not for sale. It is retired from 2010 and Limited Edition (size unknown). There are 10 different characters in this wonderful set.